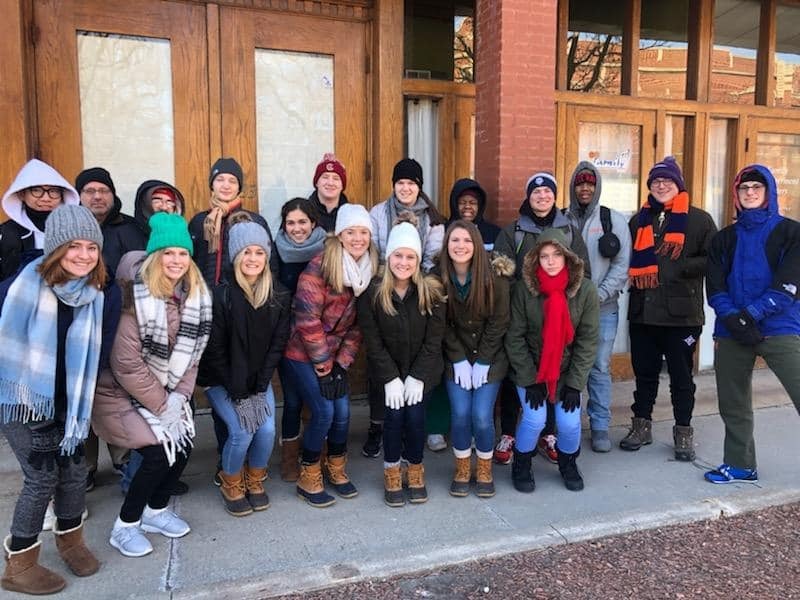 Since the opening of our Center thirteen years ago, we have grown our hosting of short term service trips to Chicago, also known as ENVISION trips, within the C&MA. The trips offer a multi-cultural immersion and learning experience that is one of the best stateside. These trips create a domestic experience that challenges our teams in their own faith journey while having great Kingdom impact with a real ministry on the ground. Our community is on the north side of the city of Chicago, with 65,000 plus people living within a 1.8 square mile area. The diversity of our community is rich with more than 40 primary languages spoken,and it is pretty equally divided racially between African American/Black, Hispanic, and White residents. Our focus is on the urban families who have the greatest challenges in our community. Teams join us from Sunday afternoon through Saturday morning. Their week includes training and devotional times that are focused on cross-cultural and urban issues, an immersion into an Indian/Pakistani community that involves a mosque visit when possible, a variety of ethnic meals, opportunities for service projects, evangelism, sports camps (soccer primarily). We can usually add in special projects of interest based on group preference. Trips can be scheduled just about any time of the year, but most teams choose to come during the months of June – August. They usually last one week, beginning on a Sunday and ending on a Saturday. $475 covers all the necessary food, accomodation, and materials for the trip. Teams are responsible for their own transportation to Chicago.